Brisbane Duo / Trio 155 – Features Member 1 on vocals and acoustic guitar, Member 2 plays percussion and Member 3 on vocals and violin. 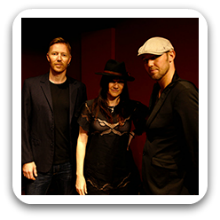 The team of trained and experience musicians interpret pop and rock tunes with a smooth, down-to-earth, organic edge. 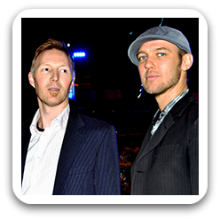 Can perform as a: Duo, Trio and are available to perform in Brisbane, Gold Coast, Sunshine Coast and Surrounding Areas. Thank you for your wonderful entertainment. We could not fault you and your partner at all. All the guests commented what a great time they had and made special mention of how good you both were. It really made the night to have you as your music and singing were both excellent but you were both so easy to adapt to our night of activities. We will remember you to use you again and will definitely recommend you to anyone who asks. The guys provided the music for our wedding – they were Amazing. Many guests commented what a great time they had and how wonderful the band were. The music was boppy and they really suited the music choices to the time of the evening. Even in the (very few) breaks they provided music so the whole evening kept rolling along. They were really helpful and the band were happy & lively and you could see they enjoyed themselves. I would definitely use the band again in a heartbeat….